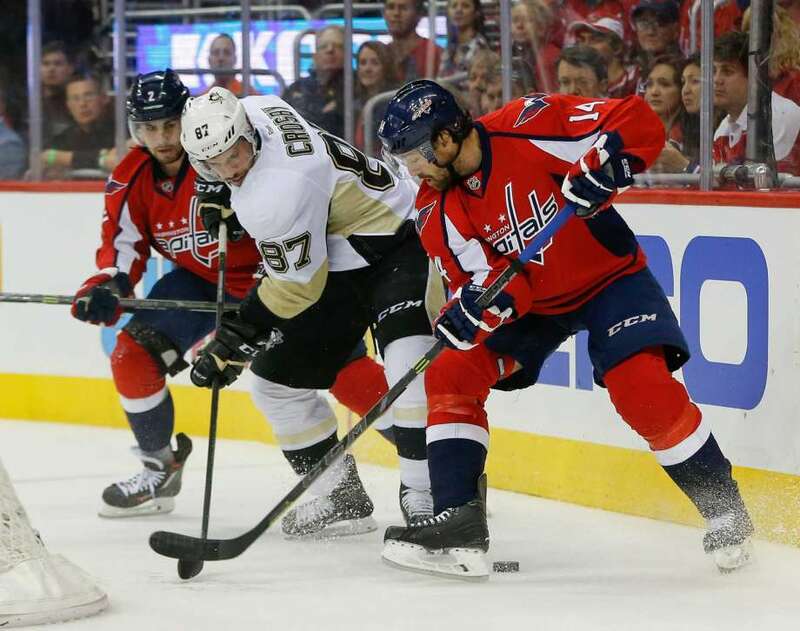 The Pittsburgh Penguins enter tonight's game against the Washington Capitals with a chance to clinch the series and move on to the Eastern Conference Finals. They've built a 3-1 series lead despite not playing at their best against the Caps - they've gone 0-14 on the power play, they've managed only a score-adjusted 47.9 CF% over the first four games, and Sidney Crosby and Evgeni Malkin have combined for just 1 goal and 2 assists. No, they've managed to take a commanding lead in this series in large part because of the play of their supporting cast. They're a deeper team than they've been in a long time, and that depth has stepped up when it's mattered. Matt Murray's career has defied even the most optimistic of expectations after the Penguins selected the mediocre OHL goalie with good tools in the 3rd round of the 2012 NHL draft. He put together a strong season in his final year in juniors, won a slew of awards last season in the AHL during his first year as a professional, and now he's dominating in the NHL playoffs and forcing Marc-Andre Fleury to the bench. He's 6-1 in his 7 playoff starts with a 0.944 SV% and 1.81 GAA, including a 0.938 SV% and 2.14 GAA in his 4 games against the Capitals. His steady play in net has been huge in allowing Pittsburgh to grind their way to wins, and the Capitals have been visibly frustrated by their inability to get pucks behind him. But unlike in years past, the Penguins can continue to thrive even when their top lines aren't on the ice. Matt Cullen signed a one year, $800k contract in the offseason to reinforce the bottom 6, and he's done that and more with 16 goals and 16 assists in the regular season. Cullen has continued scoring in the postseason with 3 goals and 2 assists in 9 games, including a goal and an assist against Washington, and he made a great individual play to pick off a pass in the defensive zone and take it down the ice to score in Game 4. Another advantage this year for the Pens is their third line, which has thrived both this series and against the Rangers. Both Nick Bonino (1g, 3a) and Carl Hagelin (2g, 2a) have scored at a point per game clip during the series, while Phil Kessel has added a pair of assists as well. The line has freed up Crosby's line to focus on the task of shutting down Washington's top line without sacrificing the team's ability to score. And while the Penguins have had their share of struggles, so too have the Washington Capitals. Evgeny Kuznetsov led the team in scoring during the regular season with 77 points, but he's only managed one goal and one assist during the postseason, with only a single assist against Pittsburgh. Justin Williams was brought in for his playoff prowess, but the former Conn Smythe winner has just 1 goal and 3 assists through 10 games, though he's managed 1 goal and 1 assist in the 2nd round series. Throw in Nicklas Backstrom managing just a single assists against Pittsburgh, and Alexander Ovechkin (1g, 2a this series) has had to shoulder a large portion of the offensive load on his shoulders. If 2009 was the battle of the stars between these two teams, 2016 has been the battle of the depth players, and that's a battle the Penguins are winning. - Sidney Crosby has been named a finalist for the 2016 Hart Trophy along with Patrick Kane of the Chicago Blackhawks and Jamie Benn of the Dallas Stars. - With a win, Matt Murray would become the first rookie goaltender to beat the Presidents' Trophy winning team since a 23-year-old Mike Vernon accomplished the feat against the Edmonton Oilers in 1986.